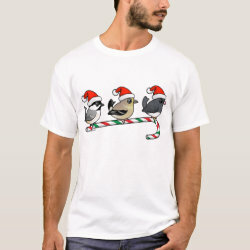 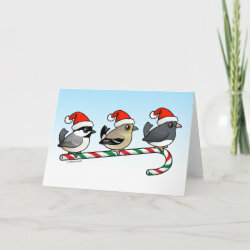 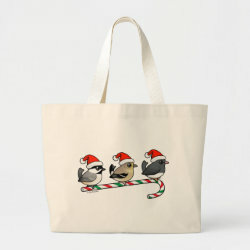 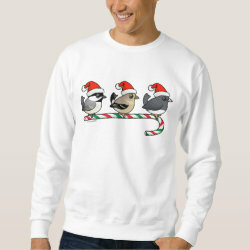 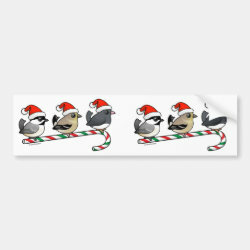 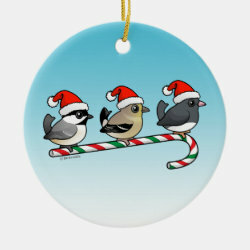 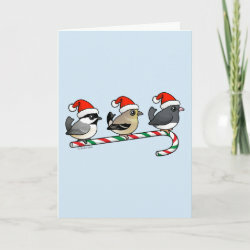 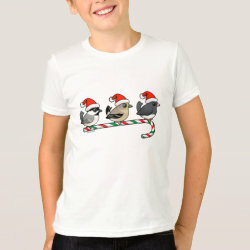 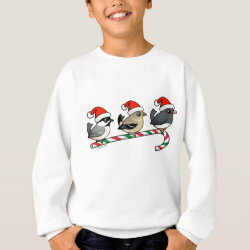 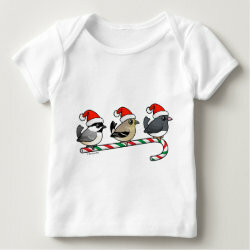 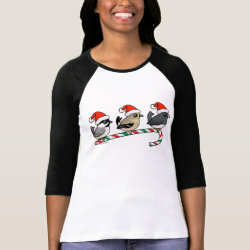 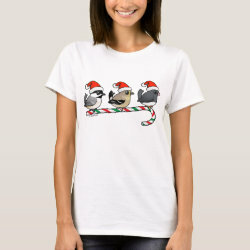 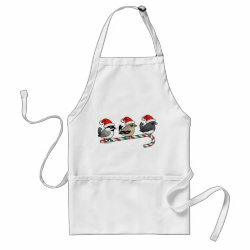 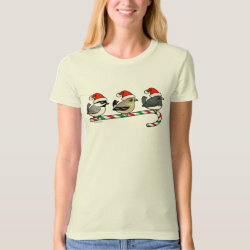 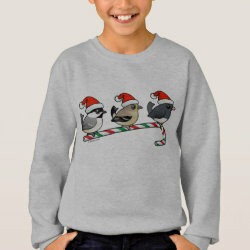 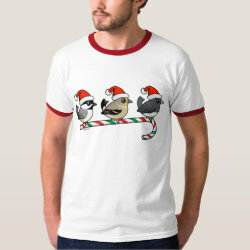 Three adorable North American songbirds are wearing Santa Claus hats and perching on a candy cane in this original holiday design from Birdorable. 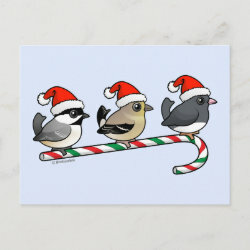 Get ready for Christmas in cute Birdorable style with Black-capped Chickadee, American Goldfinch (in winter plumage, of course! 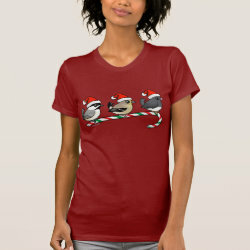 ), and Dark-eyed Junco.